Starting from Haugesund or Bergen, spend a (long) weekend driving around the Hardangerfjord region, enjoying the magnificent sights and the different pace of life - don't forget your ferry timetable! Stay in one, two or more lovely hotels along the way. A summer trip? Yes - but blossom time for the fruit orchards is April-May and the snowy mountains are stunning in February-March. Fruit harvest time is August to October. Come at short notice with a good weather forecast in any season for a (preferably long) weekend you'll never forget. Enjoy the scenery, adjust to the pace of life (slow except when late for ferries). Drive along Sørfjord, north from Odda, east through Eidfjord over Hardangervidda towards Geilo (and back). Take highway 7 towards Bergen, or go north to Voss and Flåm, or west to the outer parts of Hardanger for Rosendal, out towards the island of Stord. Collect your car at Haugesund airport. For Bergen you could take the airport bus into Bergen, or get the hire car at the airport - or bring your own car on the ferry. 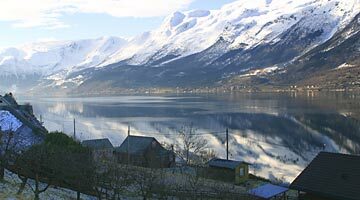 There are many good hotels in Bergen and Haugesund - but you will want to spend as much time in Hardanger as you can. 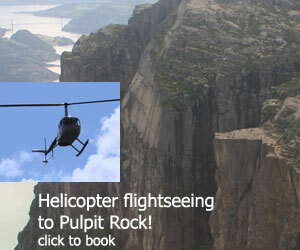 Fly to Bergen airport (various airlines), or Haugesund airport (Ryanair). Either stay one night in Bergen or Haugesund before driving into Hardanger, or drive straight from the airport to your first Hardanger hotel.